Hexaware Walkin Drive For Freshers in Chennai | From 9th to 11th August 2017. Hexaware is recruiting graduate Freshers for the US Voice Process vacancies. Candidates who had completed graduation can attend for the latest job openings in Chennai on or before the last date. 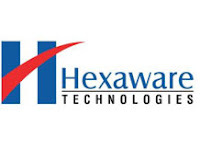 Hexaware is conducting walkins for only fresher candidates, experienced candidates do not apply for these jobs. Contenders who have good worth in English communication and knowledge in MS – Office are preferred. Candidates beyond the mentioned boundaries please do not apply. Job seekers should have the ability to complete work in deadliness. Aspirants who are willing to attend for Hexaware walkin recruitment have a look on Hexaware Model Papers and Hexaware Syllabus which will help during their preparation. With the help of these Mock Test Papers, candidates will get a clear idea about the pattern of exam, and how to manage time during in the written test. Applicants who will perform well in the selection process those candidates will eligible to appoint for this Associate, Senior Associate – (NonTechnical) Position. The Hexaware will provide huge incentives along with pick and drop facility for the selected candidates. Keep on visiting All India Jobs for more latest information regarding Hexaware Walkin Recruitment. We have an immediate opening for US Voice Process. Salary: Fixed Sal + Night Shift Allowance + Travel Allowance. Flexible to work in US timing. Caliber Point Business Solutions Ltd. is the wholly owned BPO subsidiary of Hexaware Technologies Ltd. We are currently staffed with 1500+ people across Navi Mumbai (Mahape) Chennai, Nagpur, and the US. Ranked 15th in the NASSCOM Top 20 IT Software & Services Exporters from India, we also rank among the Top 20 Best IT Employers in India by DQ-IDC for four years in a row. Caliber Point leverages on a strong technology legacy from its parent organization. Our core expertise areas include Human Resources Outsourcing (HRO), Healthcare, Finance & Accounting Outsourcing (FAO), and Knowledge Services. In these areas, we service our customers in North America, Europe, and Asia by providing them front and back office solutions through Transaction Processing, Documents Management, Voice Processes, Transition Management, and Consulting services on Shared Service Center set-up and business case development. Candidates who had completed graduation they can attend for Hexaware Walkin Recruitment which will be held in Chennai from 9th to 11th August 2017. Interested aspirants can check the details and attend only on walkin dates. Candidates who will attend after the walkin closed dates they will not be interviewed. We hope this page will give the clear idea about Hexaware Careers 2017. Interested candidates can attend for Hexaware walkins on given dates. Applicants who are going to appear for latest vacancies in Chennai have to carry the mandatory documents which are provided in this article.